Skwachàys Lodge and Residence – (pronounced skwatch-eyes) at 31 West Pender Street in Vancouver houses a fair trade gallery, boutique hotel and an urban Aboriginal artist residence. When a guest spends their overnight travel dollars at the Skwachàys there is a social impact – people are housed. When a guest, a member of the community or a company purchases authentic Aboriginal art at the Fair Trade Gallery there is a social impact – a simple purchase fights cultural misappropriation and ensures that Aboriginal artists are paid fairly for their work. Lemon Tree hotels – all LEED gold standard, these hotels use Variable Refrigerant Volume (VRV) technology for air-conditioning (30% more efficient), solar and wind power and rain water harvesting. They also commit to cleaning up India’s neighbourhoods and have organized multiple clean ups. They have won awards for fair working conditions and a holistic approach to the welfare and skills development of its staff. Robson Club Agadir – fitted with 900 sq. metres of solar panels. Robson Club hotels have been awarded multiple eco labels and have been awarded most environmentally friendly hotel company. The hotel also opened a hotel management training program where youth can undergo training. The Rubens at the Palace hotel, London- this UK property has the largest living wall in an effort to combat the chronic stormwater run-off problem they’ve been experiencing due to vanishing green spaces. Fogo Island Inn – based on the rocky outclass of Newfoundland in Canada, this inn embodies sustainability. Working with the community in almost every aspect, even the furniture and quilting is made by the community. Environmentally it is also showcasing itself with solar photovoltaic, a solar thermal system and wood biomass boiler. Creativhotel Luise – Germany’s first climate neutral hotel with emissions at 10.24 kg CO2 per guest compared to the average of 35kg C02 per guest at an average hotel. Solar power, battery station for electric cars, this hotel boasts 50% of its grounds as green space. Chepu Adventures Ecolodge – based in Patagonia, this ecolodge is so serious about their resource consumption they are not only off-grid but also have individual monitors in each room that tell the guest minute by minute how much they are consuming as well as their Eco Limits. The lodge gets guests to participate and through this participation is education. The lodge uses rain for water and sun and wind for electricity and is striving to be zero waste. Jetwing Vil Uyana hotel – this hotel has been built creating a nature reserve with the aim to conserve the wetlands. They have a Green Directory in place to monitor energy, water and waste and they report monthly as well as submit to being audited. Between 2010 and 2011 they have already made strides by reducing their carbon footprint by 22%. 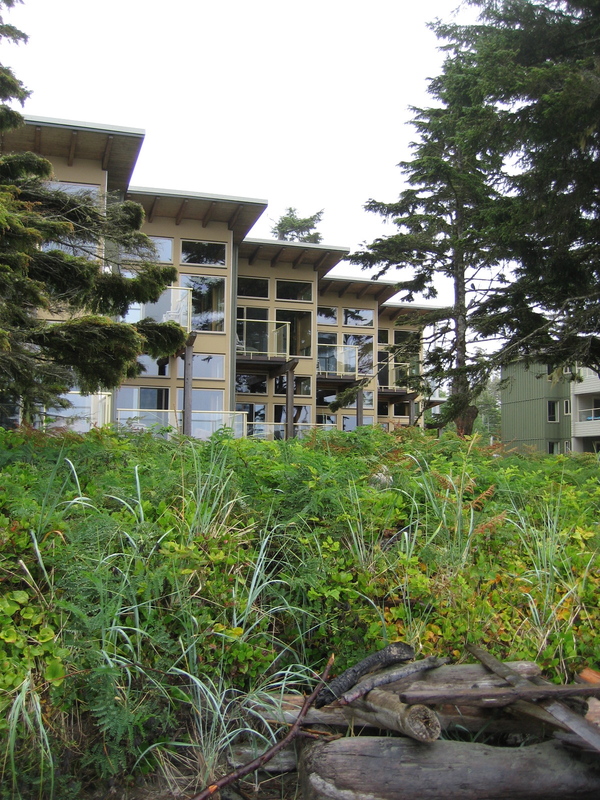 Nimmo Bay, located on Canada’s west coast, this ecolodge powers their lodge from the nearby waterfall. The Wilderness Resort has extensive recycling and waste water treatment system. Peaceful and deluxe, this resort has spared no expense on sustainability. Cinnamon Lakeside Columbo – the only hotel in Sri Lanka to be re-awarded Green Globe criteria after Green Globe standards were increased in 2011. The hotel has a rainwater harvest system which ensures rainwater is recycled for daily use. Landscaping uses natural plants to minimize water consumption and the hotel practices locally and fair trade. Measures are put into place to ensure the local communities water, sanitation and energy are not jeopardized. Local community efforts for CSR are advocated including assistance for restoration of historic sites as well as local tree planting. The hotels was also designed to use 35% less energy use by reducing the impact of tropical heat through the use of kabok walls. Millea Mountain Retreat – located in Greece, this agro-tourism establishment even produces their own fertilizers for their farming. They power their retreat via solar and treat all waste water to use to water their trees. 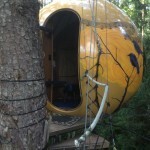 Free Spirit Spheres – located on Vancouver Island in Canada, this unique accommodation is not off grid or even really green but it does show a unique way of ‘being’ with nature and living in the forest. Moose Factory Ecolodge – located in Northern Ontario, Canada this ecolodge exemplifies what aboriginal ecotourism is all about – putting community based ecotourism and sustainable livelihoods into practice. The use of reclaimed materials to build it, the assurance that the space was there for the community, not just the tourists to use and the vision of the late Chief Randy Kapasheshit warrant the awards this lodge has received. Run as a not for profit with proceeds going back into the lodge or community, the lodge was also designed by local MoCreeBec people to match with their identify and values. Hotel Mocking Bird Hill – located in Jamaica these owners have focused on sustainable development principles through hiring local residents and buying local goods. They teach their guests about the natural and cultural environment surrounding the resort. Their energy, water and waste systems are carefully designed and monitored to be low impact. The hotel has won numerous awards including best hotel for the environment, 2010 by Responsible Travel and Virgin Holidays and were one of the first hotels in the world to become certified as environmentally friendly. Even the stationary in each room is made by a local women’s cooperative. 3 Rivers Ecolodge – An environmentally friendly ecolodge in Dominica that has local (native) staff, good community connections and strives to reinvest into the local economy. Bardessono – located in Napa, USA, it is one of the few LEED platinum hotels in the world. They boast underground geothermal heating which heats and cools guest rooms, the spa and the domestic water supply. 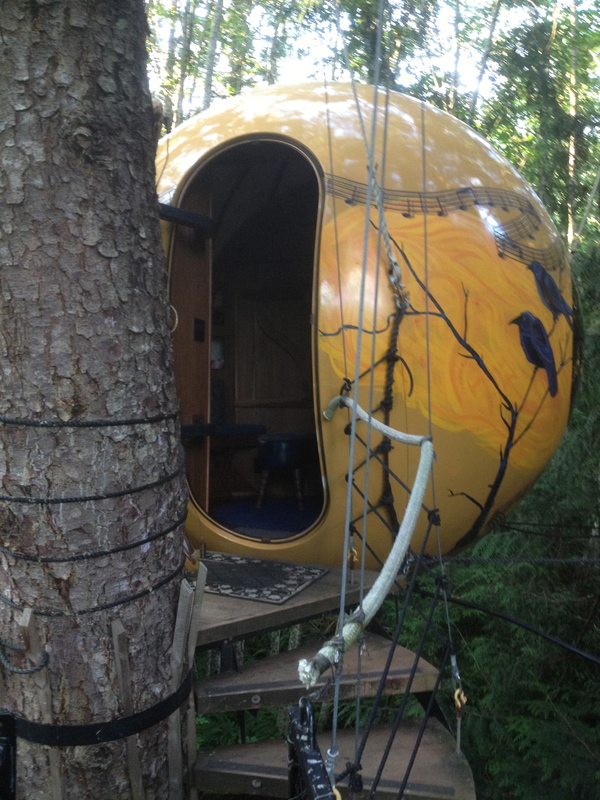 There are 940 solar panels on the roof and salvaged trees are the furniture. Gaia Napa Valley – In the lobby: a real-time display of how much energy this green hotel is using and saving, moment by moment – along with the energy contribution from the solar panels on the roof. It’s a first of its type: the blending of luxury and comfort in a new hotel with features endorsed by Leadership in Energy and Environmental Design standards (LEED). Atman Hospitality Group, Inc. is a South San Francisco-based, California corporation that mainly engages in development and operation of “green” (environmentally friendly) hotels in California. Atman Hospitality Group, Inc., a member of U.S. Green Building Council ( <http://www.usgbc.org/> USGBC), incorporates custom design, solar energy, specialized building materials, conservation techniques, and environment-friendly practices to set it apart from regular commercial hotels. Lisu Lodge– works closely with village elders and employs 100% local staff to ensure an authentic experience. Recently the winner of the Asia Wild Awards, this Thai lodge near Chiang Mai was founded in 1993 and is a leader in community based tourism. They exceed Thai labour standards offering profit sharing and providing vaccinations for all community members. They improve roads, access to water and electricity and stay focused on benefitting the community. Sustainable Restaurant Association – The Sustainable Restaurant Association works with restaurants across the UK to help with sustainability and help restaurants communicate initiatives to members. Initiatives include sustainable sourcing, waste reduction and rehabilitation efforts. Marriott hotels won sustainable large restaurant group of the year in 2013. Expedia Green hotels – Expedia and STI has partnered up to allow Expedia to showcase sustainable/green hotels. The website now allows you to search using sustainable/green as a criteria and details of the hotels practices are listed. Banyan Tree – with some outstanding sustainable tourism practices, this hotel group set up the Banyan Tree Global Foundation in 2009 to enhance corporate governance. The hotel group has done numerous regeneration projects as well as using local materials and reducing consumption where possible. Planet Traveler – located in downtown Toronto, this hostel broke the mould and is a fully restored historic building equipped with geothermal, photovoltaic electricity, solar panels and more. TUI AG has launched their guideline for Environmental Sustainability in Hotels. The guide is a step by step guide for new builds as well as existing operating hotels. Boutiquehotel Stadthalle Wien – a zero energy balance hotel, this hotel boasts 160 sq metres of solar panels, all fittings made of recycled or energy efficient materials as well as the use of local and organic food in its restaurants. They have a lavender roof, filter their drinking water and also offer a 10% discount off rates if you arrive by train or bicycle. Youth Career Initiative (YCI) is a six-month education programme that provides disadvantaged young people with life and work skills. The purpose is to empower young participants to make informed career choices and realize the options available to them, enabling them to improve their employability and enhance their long-term social and economic opportunities. YCI is made possible thanks to a unique partnership with the international hotel industry, whereby participating properties provide the human, operational and training resources to deliver the programme. The International Tourism Partnership (ITP) brings together the world’s leading international hotel companies to provide a voice for environmental and social responsibility in the industry. We work to demonstrate in a very practical way that environmental and social responsibility makes good business sense. ITP does this by highlighting best practice, offering a range of practical products and programmes and tackling emerging sustainability issues through its collaborative working groups. Green Hotelier is ITP’s online magazine, highlighting best practice and green hotel news. Pacific Sands Tofino, BC. 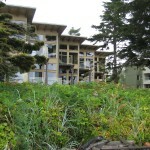 One of the first resorts in Tofino, it was also one of the first to implement environmentally friendly design principles. The use of geothermal was integrated even though the cost was 30% higher. The pay back was 6-7 years. Geothermal provides instant hot water, air conditioning and heating. The building was built with wood destroyed by the pine beetle. Maho Bay Camps is now closed but it is worth discussing as was one of the world’s first ecolodges. Stanley Selengut, owner of Maho Bay Camps built the first tents in 1976 and has become a pioneer for using and showcasing sustainable techniques in energy, water and waste management, educational and training and unique guest programs. The camps sought to preserve, protect, and even enhance the fragile eco-system of the Virgin Islands. Elevated walkways to prevent soil erosion and protect the beach and fragile coral. The walkways help protect the ecosystem, hide wires and add an element of uniqueness to the area. Plants along the boardwalks were well labeled adding an educational element. Construction methods minimized removal of vegetation and use recycled building materials such as “plastic lumber”, recycled glass tiles and rubber tire rugs. The plastic lumber not only is recycled but provided for grip when walking in the rain. The sun, using timers and sensors maximized efficiency, generating much of the electricity. Passive solar design, photovoltaic, rain collection and roof scoops that circulate cooling breezes are used. In the kitchen, guests were asked to clean their own tables and sort their recycling accordingly. The Concordia units at the far end of the island collect rain water and were almost entirely self sufficient from the main water pipes. The Concordia units also offered low flush composting toilets, energy efficient showers and solar lighting. Solar energy units are displayed in the tent for guests to monitor their energy use. Staff held educational seminars about energy and waste conservation as well as offering programs for health and wellbeing. Recycling was a marketing tool for public relations as well as a profitable guest program. In 1997, a comprehensive recycling centre was installed with glass crushers, furnaces, annealing ovens, cardboard shredders, and tools to convert waste into marketable products. The Camps Trash to Treasures program sold unique art made from recycled glass from the restaurant. Maho Bay has employed many site sensitive practices to promote sustainable tourism concepts. Sustainable seafood – Fairmont and other large brand hotels are starting to shift to eliminate threatened fish species from their menus. Looking at initiatives such as the Sustainable Seafood charters, threatened species are listed per region. They also created an Emergency Disaster Plan Manual as well as an HIV/AIDS Workplace Program Policy. Sandals Montego Bay has a full time environment, health and safety manager, responsible for staff training, developing community awareness, and liaising with the Montego Bay Marine Park and National Environment and Planning Agency. Staff are encouraged to participate and become involved with Monthly Awards, Annual Health and Safety Expositions, Field trips, Committees, Clubs and Special Events such as medical missions for children’s infirmaries, AIDS hospices, and neighbouring mental hospitals, as well as youth training and recruitment programs, and community clean-ups – both above and below the water. Kimpton Hotels As well as offering free cookies and wine to guests, Kimpton is making good strides for sustainability. They have a detailed enviro purchasing policy and standards and are moving towards local and sustainable foods as well. For example, 30 percent of wine lists will begin to feature eco-friendly selections, including organic, biodynamic and sustainable wines. ‘Marriott International Inc. announced that it has reduced greenhouse gas emissions by 70,000 tons in one year—the equivalent of removing 10,000 cars from U.S. streets. As the first hotel company to proactively join the prestigious U.S. Environmental Protection Agency’s (EPA) Climate Leaders Program, Marriott has set a five-year goal to reduce greenhouse gases by 6 percent per guest room by 2010 and launched Marriott’s Retro-Commissioning (MRC) initiative last year to maximize energy in all U.S. hotels. 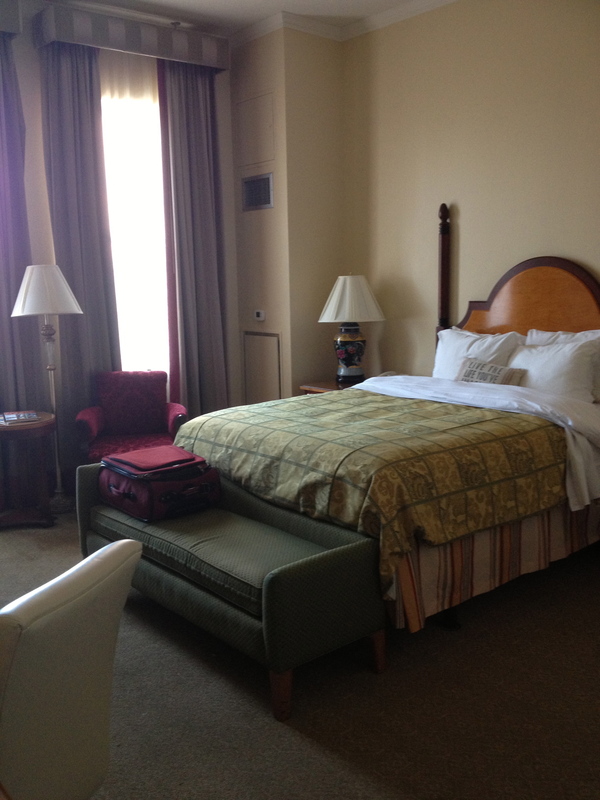 As a result, Marriott reduced greenhouse gases in 2006 by 2 percent in each guest room. Starwood Capital Group has just announced the launch of a luxury, eco-friendly hotel brand – ‘1’ Hotel and Residences. The concept is to combine eco-sustainable architecture, interior design and luxury service and comfort. Punta Cana Resorts. Contributed to the revitalization and relative improvement of the economic health of an area once considered marginal. It has accomplished this through a variety of business initiatives, including adapting technologies, training personnel, and creating environmental and education programs.The resort is also home to a biodiversity and sustainability centre. Orchard Garden The Orchard Garden in San Francisco has just earned its first LEED (Leadership in Energy & Environmental Design) from the US Green Building Council. ‘The Orchard Garden’s builder, Swinerton Inc., earned LEED points through the integration of low-emission interior materials and energyand water-efficient fixtures. Rooms are scrubbed with citrus-based cleaning products and recycled paper is used throughout the facility. Hotel officials also boast that the building will be the city’s first to use a guest key card that controls the room’s electricity. After entering the room, guests must place the card in a wall slot to turn on lights and other systems. When the card is removed, electricity is cut off, except power supplied to wall outlets. The system, used widely throughout Europe and Asia, is expected to cut the hotel’s energy use by 20 percent. and providing information to travellers. To date, 2,857 of a total of 3,611 staff at Accors 18 hotels in Thailand have been trained. Working with ECPAT and Accor will help raise awareness on what needs to be done to solve this problem. Other Accor initiatives include developing and extending best practices from Accor Indonesia’s Tree for a Child programme which aims at reducing poverty for underprivileged children and creating opportunities for them to grow in healthy an happy surroundings. A collection of as many hotels, B&Bs, inns, lodges, and resorts that proclaim one way or another that they are “green”. One challenge has been that lodging properties too often don’t promote their environmental initiatives, making it hard for those of us with interest in staying in green hotels to find them. *This has not been verified officially by any organisation however, it is a good start none the less.